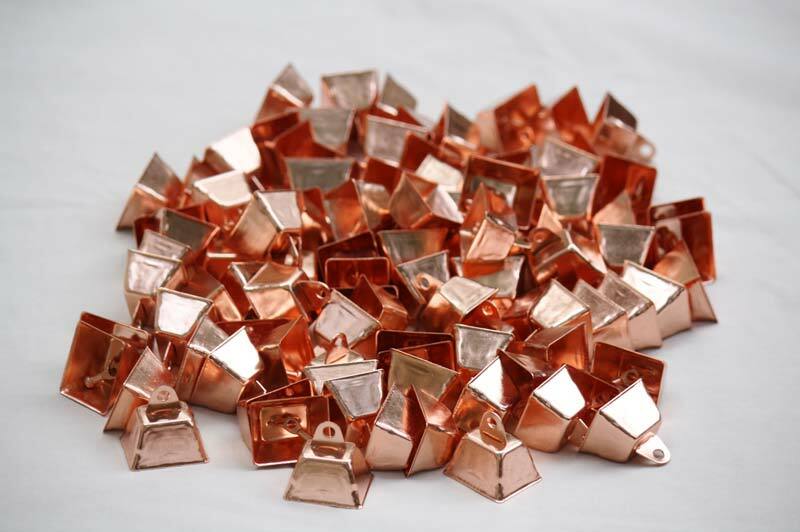 Height: 3/4" Height with loop: 1 1/4" Length: 1 1/4" Width: 1"
Tiny cow bells make beautiful, musical craft projects! 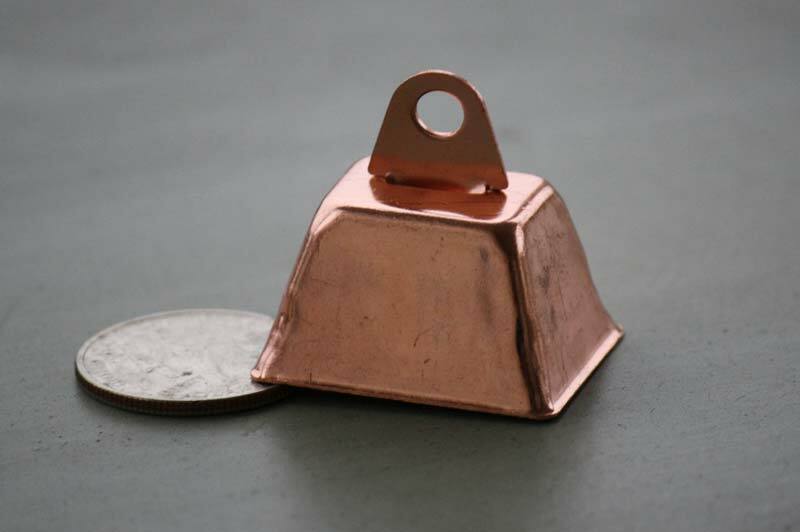 This copper cow bell is perfect for a flower arrangement or decorative display. Use them for the holidays or around the home. 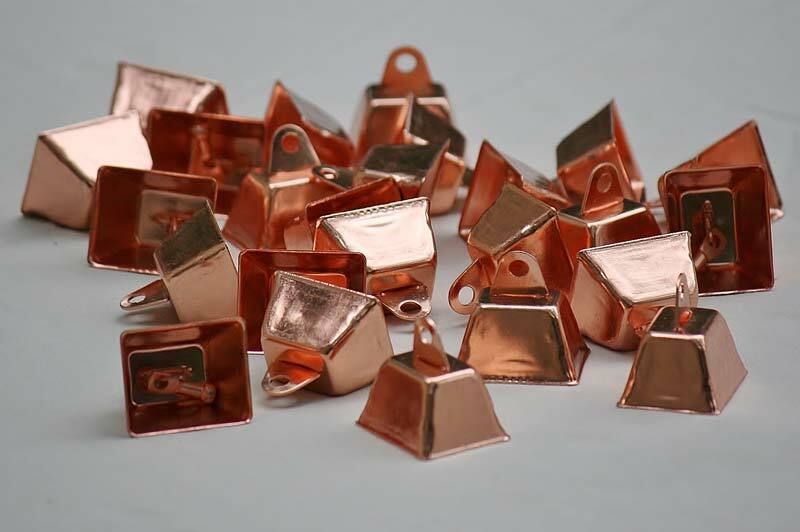 Expand your arts and crafts with these unique, small bells.